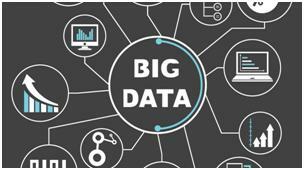 Recent advances in big data and data science has revolutionized many of the scientific fields. The social sciences, like economics, have also seen revolutions in analysis such as behavioral economics and complexity economics. It was inevitable that new analytical techniques spawned by today’s data science advances would find their way into the field of policy making. In this column, five emerging analytical tools and management methods are surveyed to determine their impact on policy analysis and policy implementation. Randomized control trials (RCT) are probably the most familiar analysis tool for medical and psychology researchers. It is the classic experimental design where there are a control group and a group that is receiving the treatment. Recently, RCTs are making their way into policy analysis because of the ability to surface unexpected findings. For example, in the story, “Reality Check,” from the Nov. 12, 2013 issue of Wired, RCT disproved the theory that giving out free textbooks to African students would increase test scores and led to the search for alternative explanations. This experience led to the “randomistas” movement in the social sciences. RCTs are now being rapidly adopted for all types of policy analysis. Big data and data science has made a tremendous impact on our world in areas ranging from health informatics to social networking analytics. The policy field has seen the rise of policy informatics where cutting-edge data science techniques are applied to a wide range of policy analysis and implementation issues. According to Erick Johnston in Governance in the Information Era, “[policy informatics] appl[ies] a combination of computational thinking, complex systems modeling, data analytics and participatory science” to help governments deal with complex governance problems. Data science adds another set of quantitative tools to the policy analysts’ toolkit of statistical methods. Almost all policy implementations involve creating at least one process. In fact, much of policy analysis involves examining a policy’s processes to determine how to implement the policy more effectively. Process mining is an emerging management field that examines workflow data to discover how processes work and determine ways to improve them. Process miners use data for events that occur as part of the process as work is passed from one participant node to another. This data, which is collected into an event log, is analyzed with specialized software to map work flows. Policy analysts could create policy event logs to map how work and information flow in a policy process or even policy networks. Design thinking is a solution-based method of problem-solving. This differs from the traditional problem-oriented approach to policy analysis because design thinking focuses on iterating toward a solution that fulfills a desired outcome. Design thinkers use various methods to develop empathy with the people who will use the future solution. Stakeholders are interviewed to find out what they perceive is a problem. Design thinker practitioners then create prototypes to gain feedback from the stakeholders. The advantage of design thinking is that the almost constant feedback from the eventual users of the solution guarantees acceptance of that solution. Recently, Laurent Kummer wrote about Six-Sig CMT and the parallels between policymaking and project management. In his March 8, 2015 posting, “500 Million Stakeholders,” Kummer argues that policymaking and project management share the goal of solving a problem or introducing something new. Policy implementation and project management also involves creating a temporary organization that implements a solution with a definite start date and end date. There are also other parallels between policy implementation and project management beyond what Kummer notes. For example, the risk management techniques of project management can be applied to policy and policy implementation. Traditional project management has much to offer policymaking but so does the recent innovation of agile project management. Agile project management differs from traditional project management in that agile project practitioners iterate toward the eventual project product based on stakeholder feedback. Like design thinking, iterating toward the eventual project product also encourages more buy-in by the stakeholders. Iterating toward an eventual policy solution could also be more effective than the traditional method of policymaking. Why is there a need for new tools of policymaking? The traditional tools of policy analysis still have their place, but complex policy and governance issues call for new analytical tools and implementation methods. The five tools and methods surveyed above have two advantages for policymaking. The first advantage is that RCT, policy informatics and process mining introduces new data analysis methods to test policy assumptions better and determine causal factors for policy analysis and policy implementation. The second advantage is that design thinking and project management uses well-tested management methods to improve policy implementation. These new tools and methods make great additions to the policymaker’s toolkit. Author: Bill Brantley teaches at the University of Maryland (College Park), George Mason University and the University of Louisville. He is also a federal government employee with the U.S. Department of Agriculture. All opinions are his own and do not reflect the opinions of his employers. He can be reached at http://about.me/bbrantley.